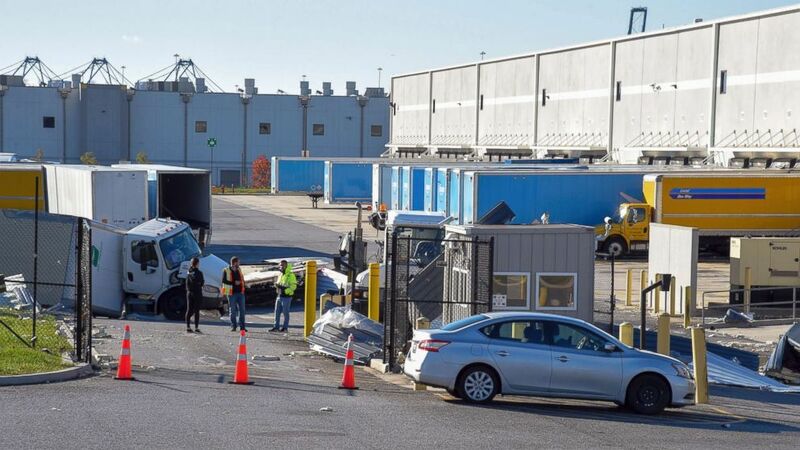 Two people have died after a heavy storm caused an Amazon warehouse in Baltimore to partially collapse. 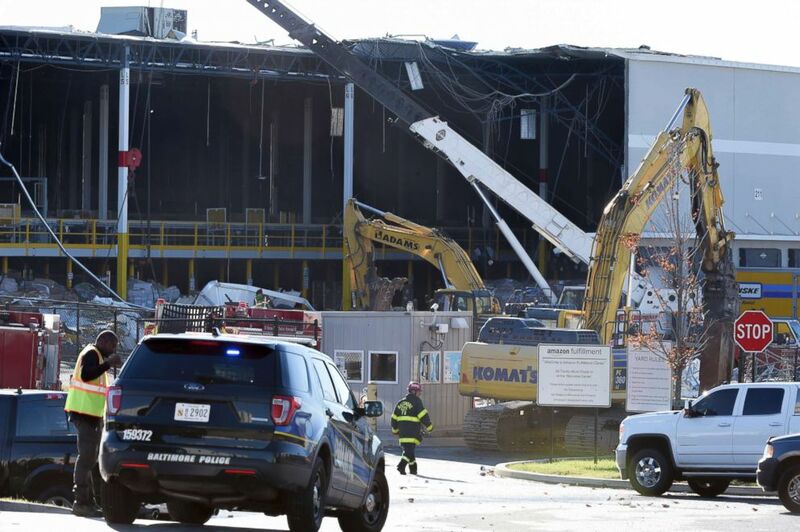 Baltimore Fire Department Chief Roman Clark said that one of the victims was an adult male who was found trapped underneath heavy debris at the Amazon warehouse. He was rescued and transported to a hospital where he was pronounced dead due to his injuries, according to ABC News affiliate WMAR. A second victim was found about an hour later, he said. Emergency personnel look over a damaged truck, Nov. 3, 2018, after a weather-related building collapse at an Amazon distribution warehouse in Baltimore. Rachael Lighty, a spokesperson for Amazon, told ABC News in a statement that the two victims were third-party contractors and not Amazon employees. Officials said there weren’t any other reports of people missing. People look over a damaged truck, Nov. 3, 2018, after a weather-related building collapse at an Amazon distribution warehouse in Baltimore.